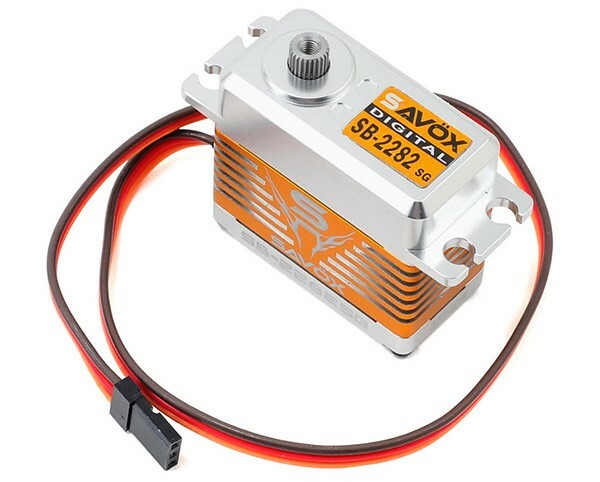 This is the Savox SB-2282SG "Monster Torque" Brushless Steel Gear Digital High Speed Servo. This high voltage servo comes equipped with dual ball bearings and an all steel gear train, yet weighs in at only 76 grams. Suitable for electric/nitro cars and electric aircraft.